A perfect fit for your Daybreak 3 Tent. 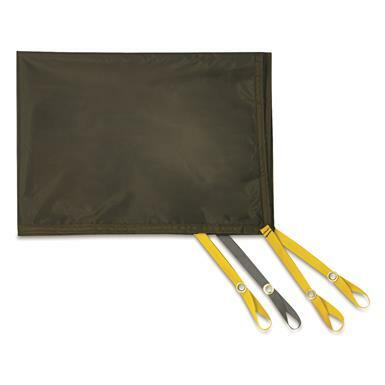 Use it under your Daybreak 3 Tent (sold separately) to prevent wear and tear from gravelly grounds and snagging twigs. Extends the life of your tent and adds another layer of weather resistance. Metal grommets attach to end of tent poles. Slumberjack Daybreak 6 Person Tent, 8'7" x 10'10"